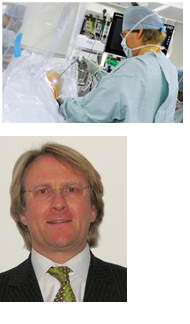 Mr Hamlyn has practiced as a Consultant Neurological and Spinal Surgeon for 20 years. He has led several neurosurgical teams in some of London’s elite teaching hospitals such as Saint Bartholomew’s Hospital and The Royal London Hospital. Since 2009 he has held an Honorary Consultant Neurosurgeon post at University College London Hospital. Mr Hamlyn sees 3,500 patients in his outpatient clinics at 30 Devonshire Street and the Broadgate Spine and Joint Clinic each year and does over 300 operations each year. His passion lies in spinal disorders and sports injury, most of his procedures involve minimally invasive/keyhole and restorative, reconstructive surgery. He has a substantial exposure to elite level sports from Premiere League football and rugby, national team members in several different sports, UK sponsored athletes, jockeys and even the Royal Ballet. His cranial work now focuses on head injury in sport. Mr Hamlyn was on the 2012 Olympic bid advisory panel and has written in the sports section of the daily Telegraph. He is now Director of Education for the Institute of Sports Exercise and Health, a national Olympic legacy project developed by University College London Hospital, the British Olympic Authority and the Department of Health. In 1996, he was awarded Fellowship of the Institute of Sport Medicine for work in the field of head injury in sport. He has worked as a current or past Medical Advisor to the Society of British Neurological Surgeons (first Safe Neurosurgery working group), General Medical Council, Trigeminal Neuralgia Association of Great Britain, British Olympic Association, British Boxing Board of Control, The Jockey Club of Great Britain, UK Sport, Royal Ballet, GB rowing team, England Rugby, numerous Premier League football and rugby clubs. He was a founder and remains Vice Chairman of the Brain and Spine Foundation and is a Director of the Broadgate Spine & Joint Clinic, The Spine Surgery London and London Endoscopic Spinal Surgery, where is practice is based.